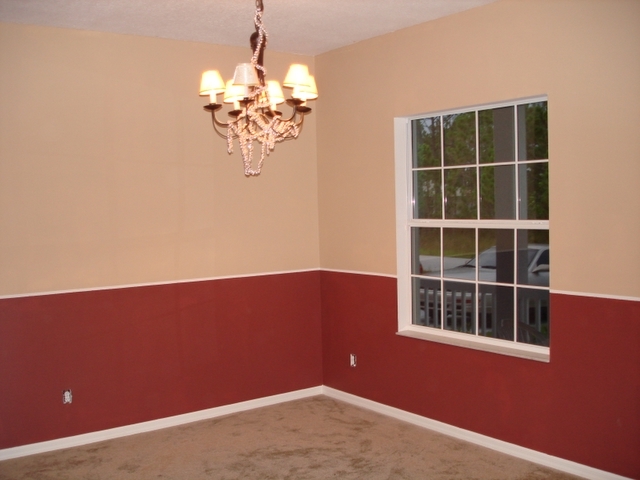 To the Right: Our dining room sporting Garrison Red in an Eggshell Aquavelvet finish on the bottom and Adobe Beige on the top again in an eggshell Aquavelvet finish. They are quality Benjamin Moore Paints. 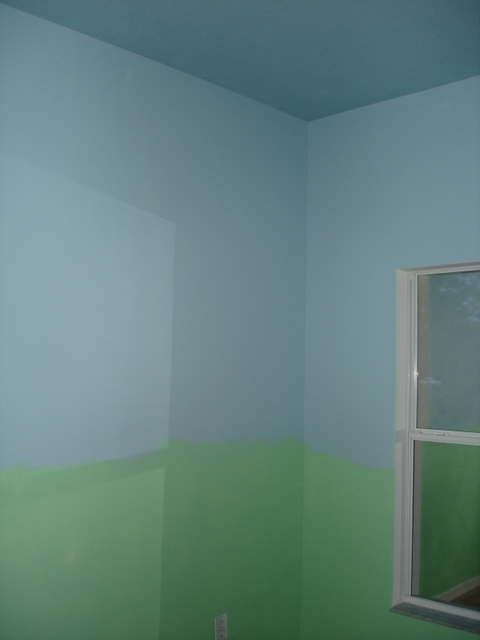 To the Left: The baby’s room, It is painted in Ashford Grey (the blue on the top) and Grassy Meadow on the bottom. These are in a pearl finish and are also Benjamin Moore Paints. This room still needs some painting work. I need to make the green into hills and sponge some clouds onto the blue for a sky effect. I am aiming for a grassy getaway. 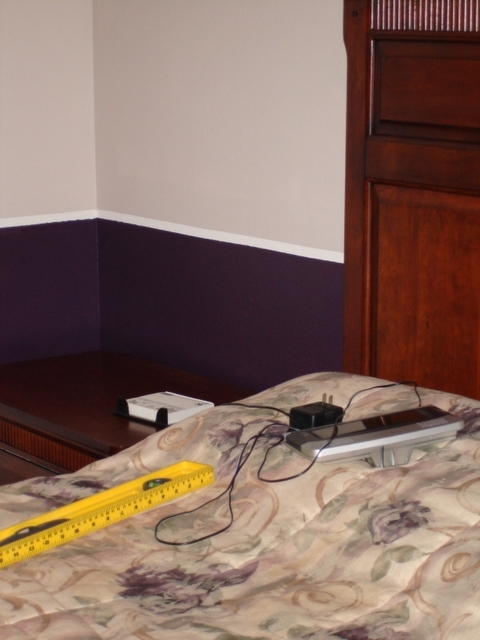 Below: The master bedroom sporting black raspberry (a deep purple) on the bottom and sea froth on the top. They are both Benjamin Moore Paints in an eggshell finish. The furniture is the Restoration Cherry set from Basset furniture. 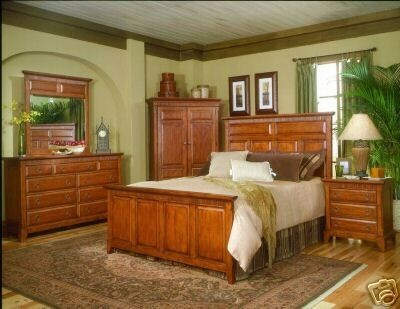 To the Left: NOT a picture of a room in our house... Just a picture of the bedroom set we have. We do not have the thing in the corner but we do have a large chest of drawers to take its place. The color of the wook in the pic to the left appears lighter that reality. See above picture for true coloring of the wood.